Trench coat is a classic wardrobe staple. Everyone needs at least one! I have a few... your typical style in khaki tones, simple cut with unexpected shades, and fancier ones with interesting details. The one I am wearing here is definitely on the fancier side, it has leather accent and full of embroidered floral pattern! 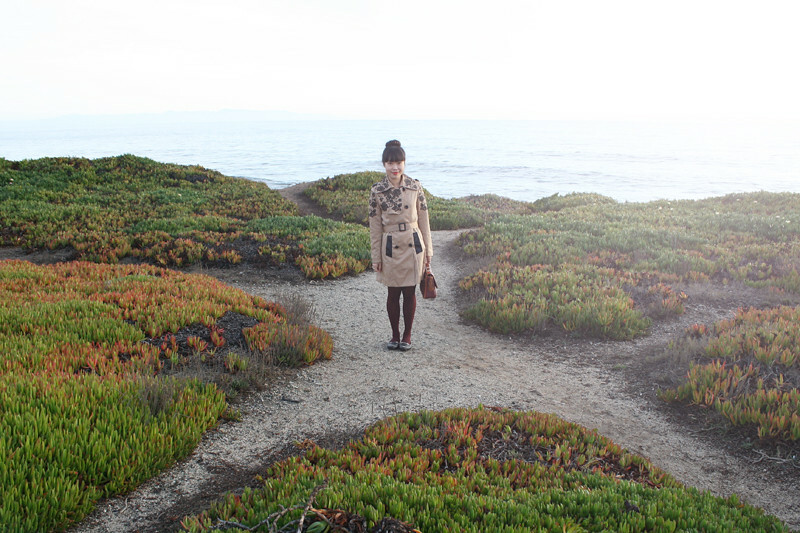 With a statement piece like that, I kept the outfit simple with a dress (underneath), tights, and cat flats. 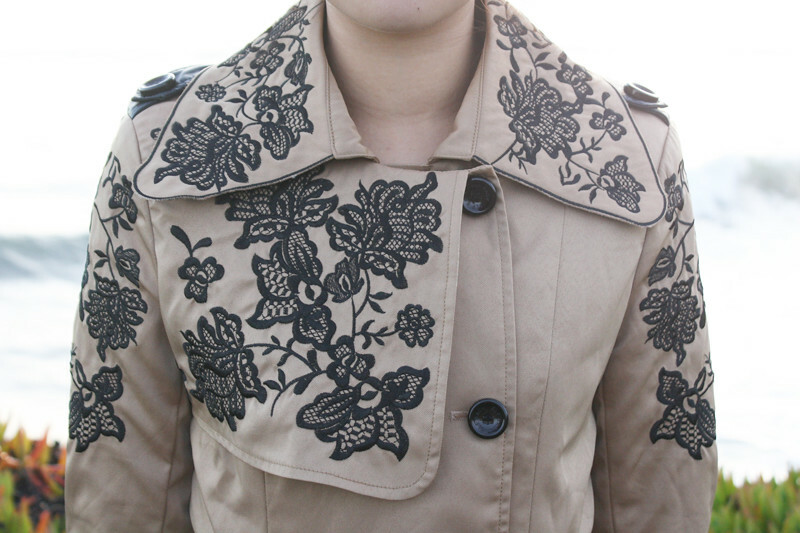 Embroidered trench coat c/o OASAP. Vintage two tone leather handbag by Dooney & Bourke from Etsy. 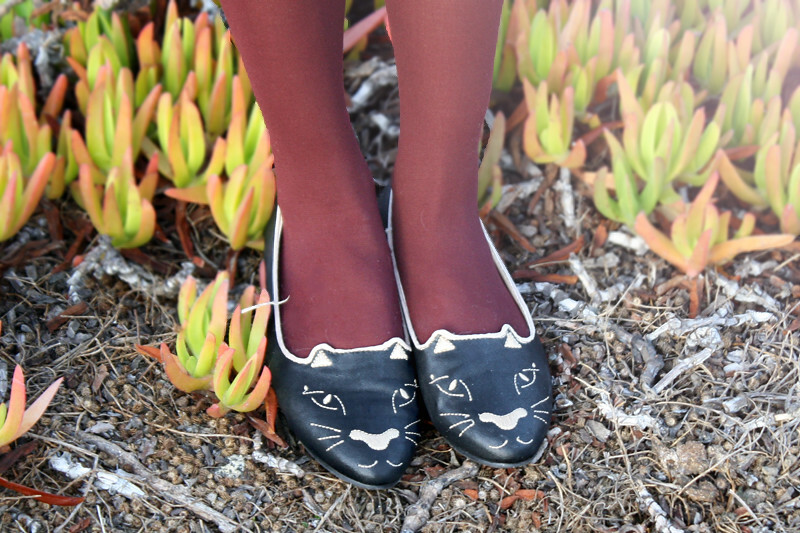 Cat flats by Bumper from my work Sway. Ah this jacket is wonderful! 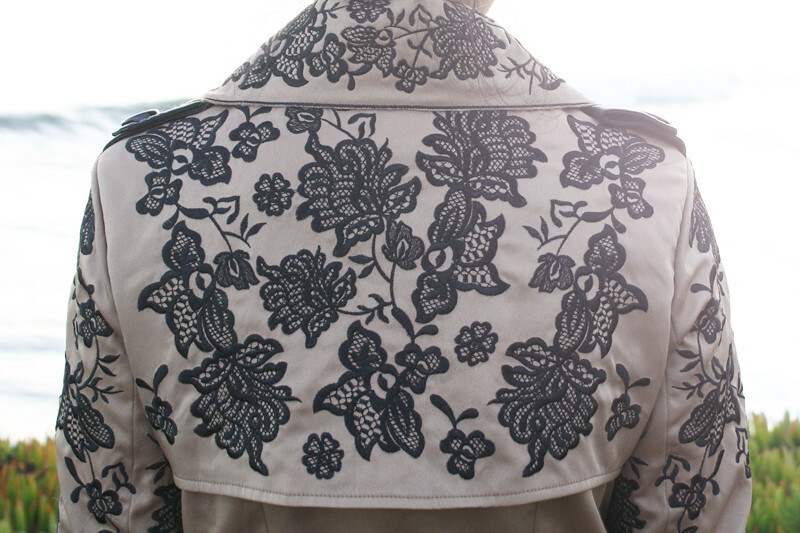 Such a pretty take on a classic trench coat. I'm so in love with the embroidery on it.